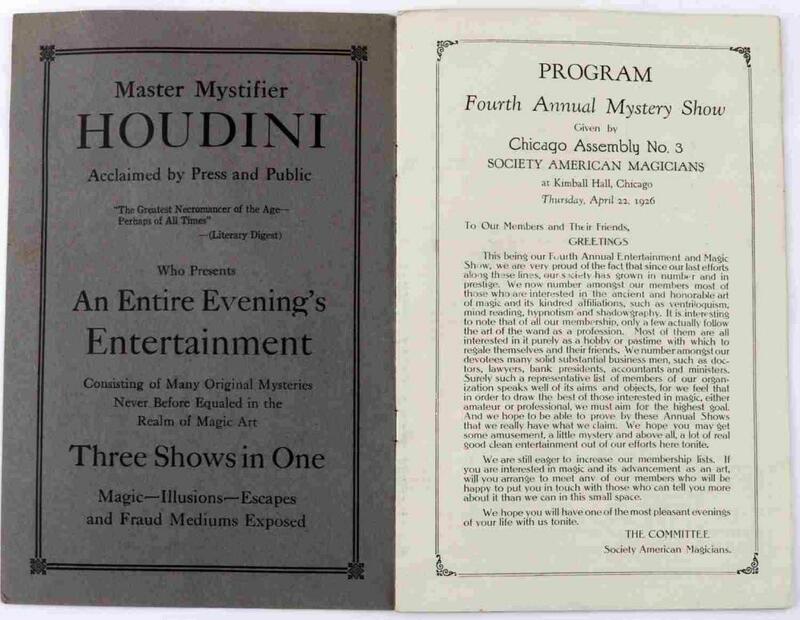 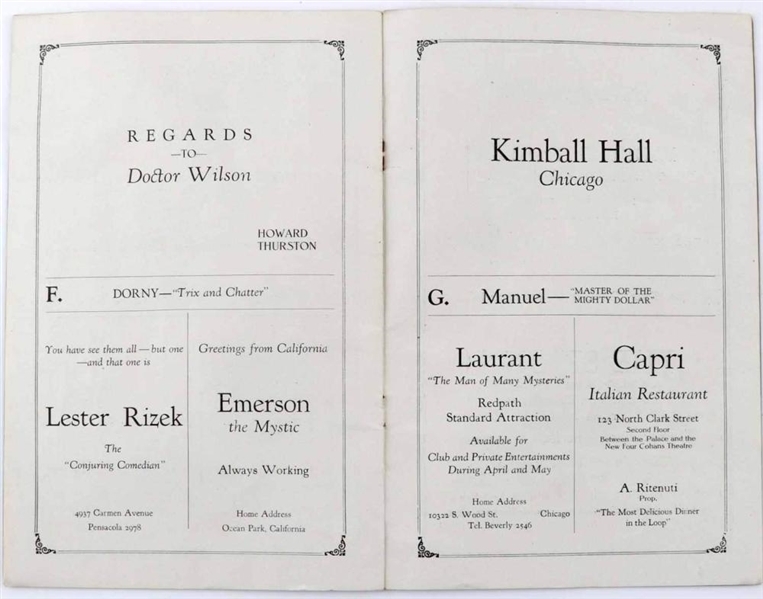 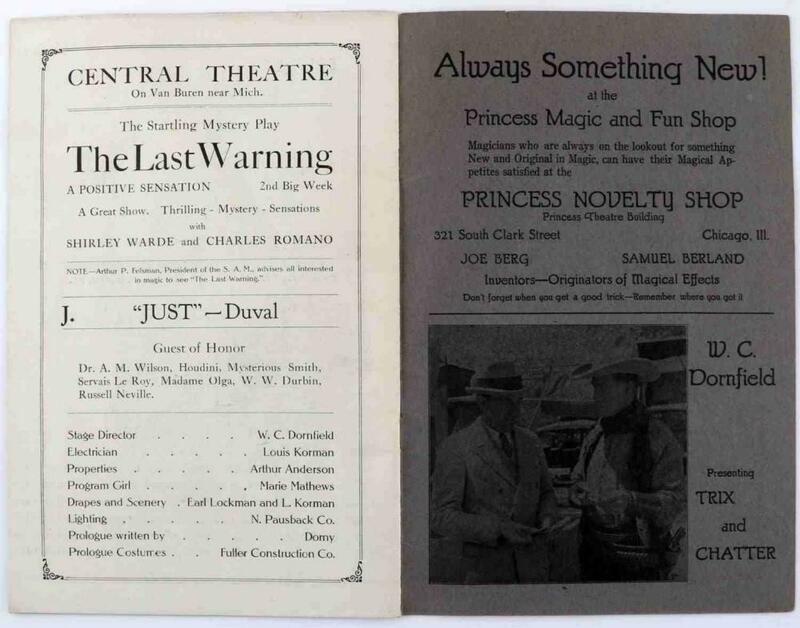 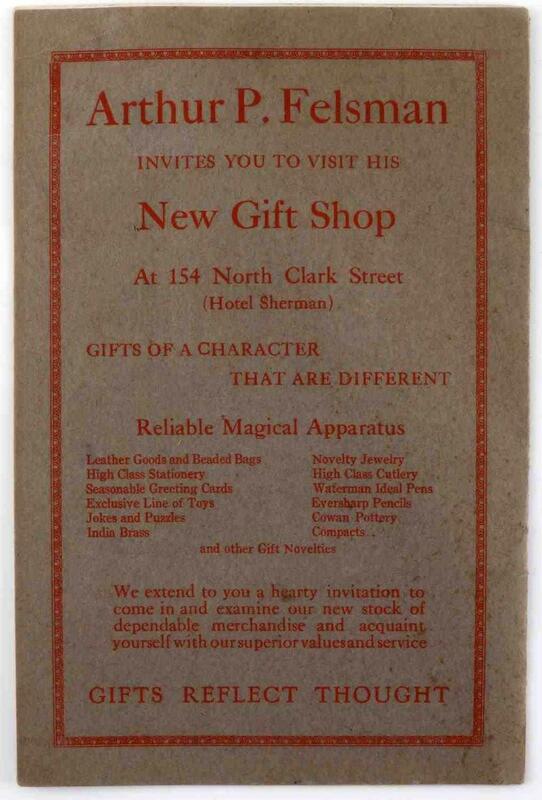 Rare Signed Chicago Program for the Fourth Annual Mystery Show April 22, 1926. 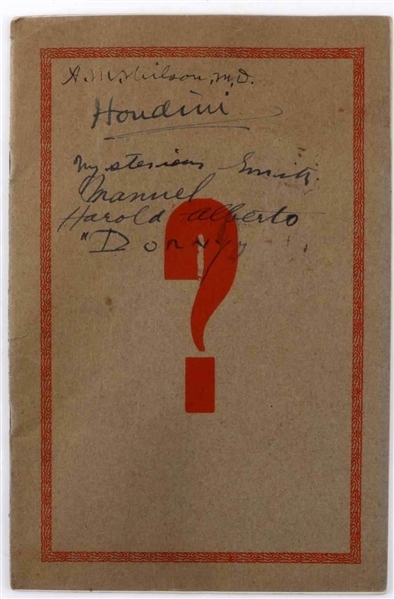 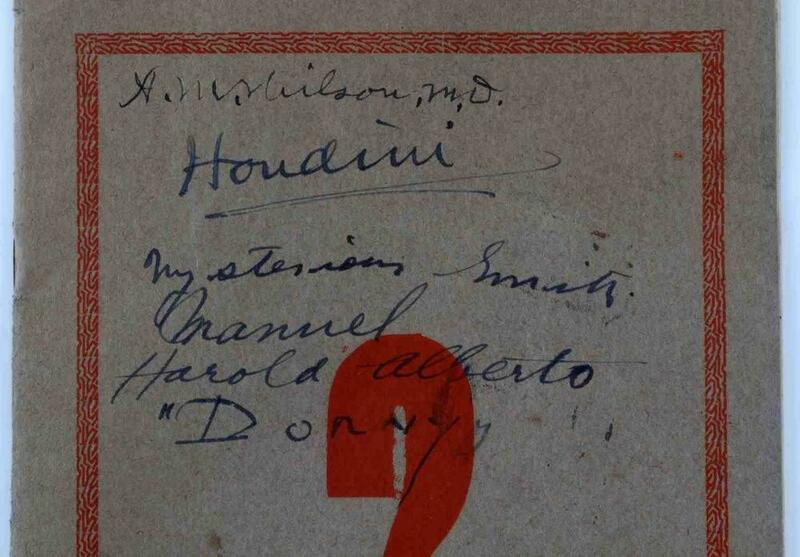 Signed by Houdini, Dr. A. M. Wislon, Dorny, Harold Alberto< Mysterious Smith on the front cover. Measures 9 inches by 6 inches. Program is in very good condition.